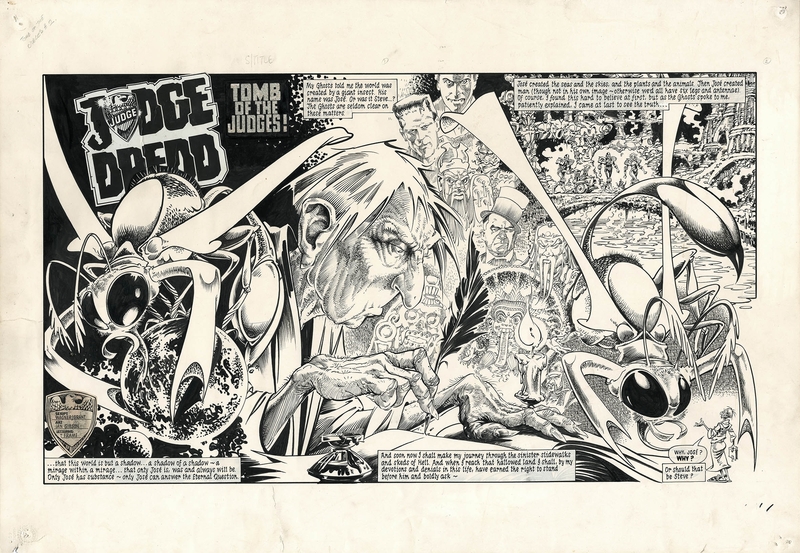 Lovely Double page spreadd from 2000AD Prog 496, dated 15th November 1986 - JUDGE DREDD 'TOMB of the JUDGES!' - drawn by IAN GIBSON and written by the ultimate Dredd team of JOHN WAGER and ALAN GRANT. Art is good condition, with minor tear on left ( not affecting art ) and on lower left (again not affecting the art ). These have been repaired by editorial staff at the time. Art is 51 x 72 cm on watercolour board.